Vitamin E is both a nutrient and an antioxidant, and the oil in its purest form is extremely versatile and nourishing and a great way to feed your skin. You can find Vitamin E in many creams, lotions, hand creams and cleaners as well as sunscreens, moisturisers and skin brighteners. 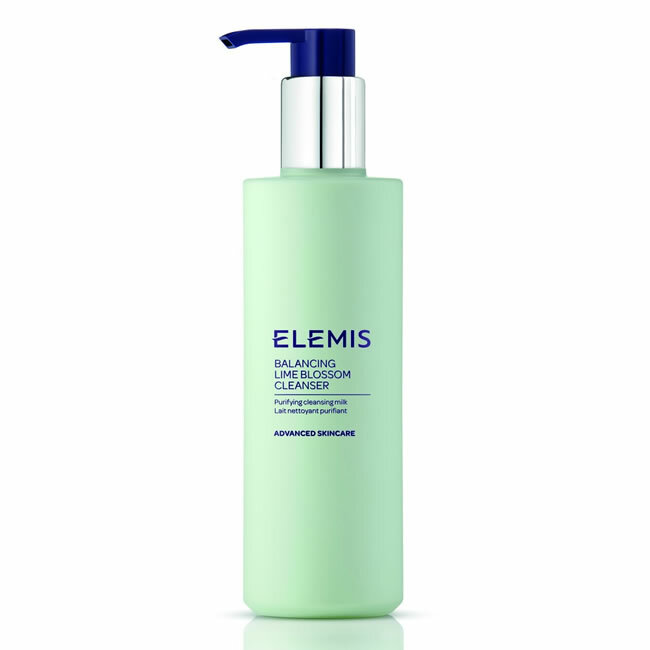 We have had a look at some of the products we stock that could help you get the skin your deserve because they come with a healthy serving of Vitamin E.
Cleansing your skin is really important, and we would suggest trying the Elemis Balancing Lime Blossom Cleanser if you have combination or congested skin. This lush product removes pollutant build up, dirt and make-up and thanks to extracts of Lime Blossom, Lecithin and that all important Vitamin E, it also helps to balance excess surface oils and soothe your skin. We love the Dermalogica Skin Smoothing Cream 2.0 and the new formulation means it is better than ever for your complexion. Incorporating Active HydraMesh Technology™ this cream can hydrate your skin for up to 48 hours as well as protecting it from the elements. Vitamin E is just one of the antioxidants that helps reduce free radical activity, and because this cream locks in moisture and protects your skin’s beneficial bacteria, you are left with healthy, soft, smooth skin that you will love. Vitamin E is also found in the Jan Marini Age Intervention Retinol Plus Mask which is great when it comes to dealing with the appearance of fine lines, wrinkles, sun damage, and hyperpigmentation. Packed with Retinol, Hyaluronic Acid, Essential Fatty Acids, Shea Butter and Vitamin E, when applied to the face for just ten minutes, twice a week, you are left with fresh, polish skin that is glowing and healthy. If dry, ageing skin is a problem for you, we would suggest trying the Dermalogica Multivitamin Power Firm because the blend of ingredients in this firming complex, help to protect, repair and strengthen your skin. Vitamin E, along with Vitamins A and C have been mixed with Red Seaweed and Green Tea to protect vulnerable skin and prevent the moisture loss that can be so ageing around your eyes and mouth. Dry hands are a problem for many of us and it isn’t surprising given what we subject them to on a daily basis. For hands that are soft and smooth, as well as sweet-smelling, the Elemis Pro-Radiance Hand and Nail Cream is just the ticket. This luxurious cream contains Milk Protein, Avellana Seed Oil, Omega 7, Vitamin E, Camellia, Virgin Plum and Macadamia Oils which together form a silky barrier that locks in moisture. Thanks to Litsea, Jasmine, Magnolia and Vanilla, this cream smells amazing and we think you will be hooked from the very first application. We are big fans of the Jan Marini Luminate Eye Gel and for good reason. This little pot of goodness not only brightens skin but also helps to reduce the appearance of under eye circles, fine lines and wrinkles. Vitamin E is just one of the ingredients in this gel which will get to work hydrating the eye area, making it look smoother, healthier and brighter. If you would like more information, or are interested in samples so you can try new products out before investing in them, get in touch today and we would love to help. Petroleum-based lip preparations may feel like they’re lubricating your lips but they are actually well-known for drying your lips out over the long term. This nourishing lip reviver from Elemis contains no petroleum and is based on a natural combination of white beeswax and peppermint oil which will soothe dry, chapped lips and make your pout appear plumper. Lots of women don’t talk about the fact that they wax their upper lip or other areas of the face, but you’d be surprised just how many of us do it on a regular basis. The skin under your ‘tache is pretty delicate though and can end up red and damaged with too much waxing, so this cream from Decleor has been designed specifically to soothe sensitive areas like your top lip after waxing. It also prevents ingrown hairs and slows regrowth, making it less necessary to wax so often. Thinner skin around the lips means that this is one area which is particularly susceptible to wrinkles and the dreaded “cat’s bum” mouth (not our favourite expression, but a descriptive one nonetheless! ), an affliction particularly seen on smokers. This cream from Elemis is gentle yet powerful and is designed for the delicate eye and lip areas which need a boost. It contains active plant stem cells from edelweiss, as well as mafane flower and alaria esculenta which combine to make the areas appear firmer, plumper and redensified. As we age, our body loses the ability to produce collagen and retain moisture, which can leave it looking prematurely aged and wrinkled. This Lip Renewal complex from Dermalogica has a sophisticated formula which minimises contour lines and smoothes rough, uneven lips. Its superior conditioning lasts hours beyond application and is ideal for wearing alone or as a smoothing primer before lipstick application. With long-lasting, matte lipsticks more popular than ever before, having a product which removes all traces of make-up whilst conditioning the lips is really important. Elemis White Flowers Eye and Lip Make-Up Remover cleanses the eye and lip area of all make-up, including waterproof mascara. Formulated with White Peony extract to hydrate and cooling White Tea to soothe and refresh. Unless you’ve been living under a rock, you’ll have seen the slew of celebrity selfies doing the rounds in which the famous snapper is totally make-up free. It started with Alicia Keyes who, rather dramatically, took to social media and declared herself DONE with make-up, and then bravely stuck to her word by attending various award ceremonies and premiers with a completely untouched face and the likes of Gwyneth Paltrow, Jessica Alba, Selena Gomez and Adele have all followed suit. However, no make-up doesn’t mean no skincare at all, so we thought we’d take a look at some of the products which can help you rock a no make-up look with maximum confidence. If you’re prone to oily skin, using a mattifying product to keep shine at bay is a good idea, especially if you’re planning to photograph your face. Decleor Velvet Mattifying Fluid is the perfect product for this as it moisturises the skin whilst clearing excess sebum and keeping shine at bay, giving you the perfect complexion for going make-up free. There’s a good chance that going make-up free will help to keep your skin much clearer if you’re prone to spots, but on the off-chance that you have a hormonal breakout you’ll want something to help clear your skin while you don’t have foundation to cover it up. Using something like Dermalogica Emergency Spot Fix will reduce redness and kill the bacteria which causes spots, allowing you to restore your complexion to it’s former blemish-free glory. Many of us take it for granted that our foundation will contain some level of SPF which will protect our skin from the sun, but going make-up free means we no longer have this layer of protection. Using a daily SPF like Decleor Daily Defence Fluid Shield SPF30 will not only fend off the sun’s harmful rays, it will moisturise your skin and also help to protect against the signs of ageing. Your eyes and mouth are usually the first places to show the signs of ageing with fine lines forming around the edges of our lips and corner of our eyes. Although there’s no shame in showing your age, keeping your skin in tip-top condition after it’s started to age is really important. We’d recommend Dermalogica Multivitamin Power Firm for these areas as it will help to plump and firm the skin while adding back important nutrients to help the skin to renew its own cells. If you’re completely make-up free, there’s a good chance that your complexion doesn’t look totally even which is where a dark spot corrector can come in seriously handy. We recommend Decleor Dark Spot Corrector Concentrate which will help to lighten areas of hyper-pigmentation, allowing you to regain a more even skin tone. There is no getting away from the fact that modern day living is stressful, and seems to be getting more so. Whether you’re commuting on a packed train into the city, constantly trying to meet deadlines at work, or bringing up small children, pressures can mount up and getting time to unwind can be tricky. However, relaxing is key if you want to get the balance right and whilst we all do that differently, something we can all incorporate in our lives is meditation. The word meditation, comes from two Latin words: meditari (to think, to dwell upon, to exercise the mind) and mederi (to heal). Meditation is a mind-body practice that can help improve anxiety and reduce symptoms of stress, leaving you feeling calmer and more in control. It isn’t just about focusing your mind but also looking at what’s going on inside you, so you can really start to understand yourself and the triggers that make you anxious. There are various types of meditation with many coming from ancient religious and spiritual traditions but the two most common forms are mindfulness and transcendental meditation. Mindfulness meditation is about focusing on your breathing and transcendental meditation involves repeating a mantra. To feel the benefits of meditation you can start with as little as five minutes a day and build from there. You can attend a group or class, which can be helpful when you are getting started, but we have some tips to get you started on your own. Do it anywhere. Sitting, standing, lying down, on the train, or walking but the key is to be comfortable and focused. Find a chair you really like, sit on the floor with cushions, lie on the grass in the park – the choice is yours but make it work for you. When you meditate, go distraction free. Turn off all devices, leave your phone in another room and try to make your space as tranquil as possible. Be open-minded. Meditation works best when you have an open attitude as this makes it easier for thoughts and feelings to flow and for you to relax. Breath. Once you are comfortable and ready, start to feel your breath as it comes into your body, through your nose and into your lungs. Count one on your first breath and two as you breathe out. Repeat to 10 and start again. Scan you body. As you progress and are following your breath, start to focus your attention on your body, one part at a time. Start at the top of your head, down to your nose and chin. Feel the breath in your chest, your stomach and your legs. Move to your ankles, toes and finish with the soles of your feet. How do those feel? Don’t worry you’re doing it wrong. There’s no perfect way to meditate, just do it and be happy you’re doing it. Smile. Sounds funny we know, but when you’re finished, smile. Be grateful you had this time to yourself and you took time out for you. Meditation isn’t always easy and it takes time and commitment, but the benefits can be amazing, so why not start today? Fantastic Treatments in a fabulous salon with only the best Products and the very Best Beauty Therapists!